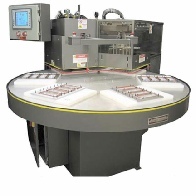 Rental blister pack sealers. 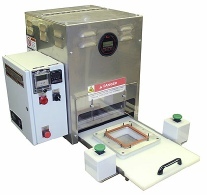 We also have blister sealers for rent and we also have used and refurbished blister heat sealers for sale too. 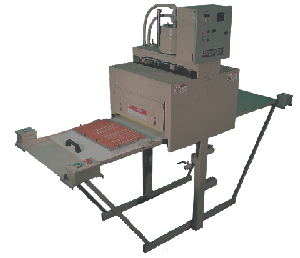 We have table top blister sealers for rent, and shuttle style blister heat sealers for rent. We have rotary style and in-line blister heat sealers too. We also have skin packager and seal and trim equipment. Please contact us for availability of equipment and pricing. Table top blister pack heat sealer for rent. Single shuttle heat sealer with automatic cycle. 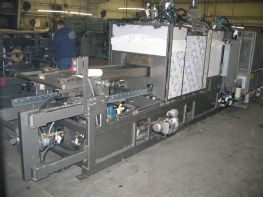 10″ x 10″ platen; time and temperature controlled. Tooling: wood, aluminum and phenolic. Will seal:blister cards, medical trays, aluminum foils, Tyvek, thin plastic lid stock and clamshell blisters may be sealed. Typical applications for this machine are blister packs, food trays, unit portion packs, fold-over cards, pharmaceutical, medical packages.